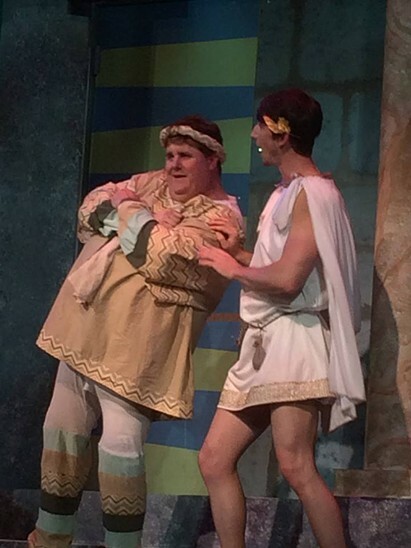 Sneak Peek at "A Funny Thing Happened on the Way to the Forum"
Never mind. 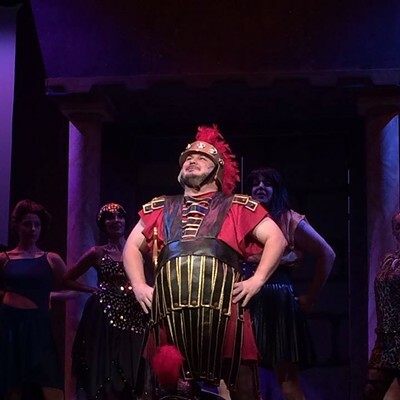 A Funny Thing Happened on the Way to the Forum is a timelessly bawdy romp, and it's currently on stage at the Harrell theater in Collierville. Winning: POTS Debuts WW2 Aftermath Drama "Victory Blues"
Why did Jerry get fired? Was he a bad shoe salesman? Do people just not like him? Was he saying the wrong stuff? Reading the wrong things? Is he just paranoid? Or are his friends out to get him? 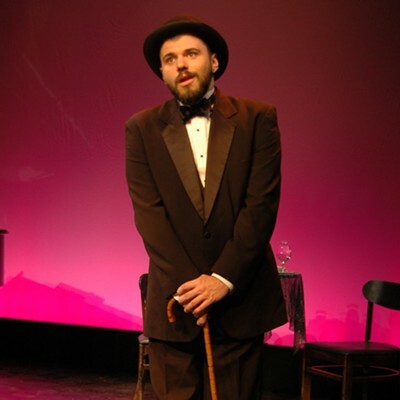 There's a lot going on in Alan Brody's NewWorks@TheWorks-winning play Victory Blues. But what's it all about? I'm going out on a limb and guessing that Brody's read a little Arthur Miller. 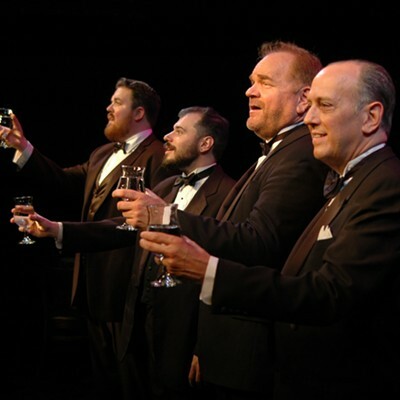 Victory Blues plays out like a working class sequel to Miller's WW2 aftermath drama All My Sons. It tells the story of three young couples — old friends living in the same apartment building, adjusting to life after wartime in the greatest, most prosperous country the world has ever known. Only one friend isn't prospering. While his buddies enjoy the fruits of winning, poor shoe salesman Jerry Greisinger just barely gets by. Jerry saw combat, and he's still struggling with that. His friends didn't, and they don't get why their old pal's worried about other people's problems when he could be out there getting his big fat slice of winner cake. They don't get why America's red scare bothers him so much, since he's not a commie. (Or is he?) They don't get why he won't forgive a friend's terrible betrayal, since it was motivated by love and concern for him, and was going to make his life so much better in the end. Jerry's wife Barbara doesn't get it either. Her friend May, who's going to college against her husband Lenny's wishes, does. Test patterns fill the TV screen. Casseroles occupy the shelf like noodly metaphors. Tension builds. "I went to work with Dad, and that rat‐race again. I felt... what you said... ashamed somehow. Because nobody was changed at all. It seemed to make suckers out of a lot of guys. I felt wrong to be alive, to open the bank‐book, to drive the new car, to see the new refrigerator. I mean you can take those things out of a war, but when you drive that car you've got to know that it came out of the love a man can have for a man, and you've got to be a little better because of that. Otherwise what you have is really loot, and there's blood on it." It's not that Jerry doesn't want to work in his friend Howie's appliance store. Like Miller's combat-tested protagonist who couldn't look at the refrigerator without obligations, he can't. Meaty stuff. Director Jaclyn Suffel and a first rate ensemble do a fantastic job setting everything up in act one. They do even more heroic work after the break, carrying the script like a wounded soldier when things get repetitive and the device used to demonstrate Jerry's isolation winks at self-parody. So the last act could stand some trimming and focus. There's lots of really fine acting collected here. And a terrific soundtrack that lifts things in all the right places. 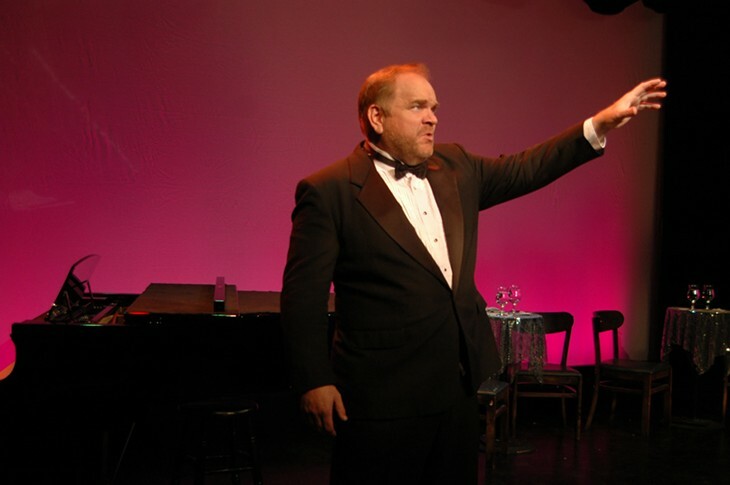 Set in 1947 Victory Blues tells the story of a combat veteran adjusting to postwar life. 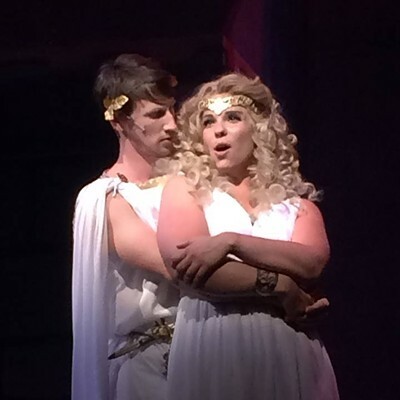 It's the latest installment of Playhouse on the Square's NewWorks@TheWorks series. 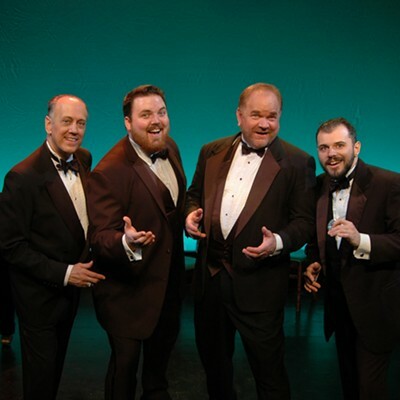 Three Tenors... and a Baritone is an original cabaret performance featuring four Theatre Memphis mainstay performers, Philip Himebook, Charles McGowan, Joseph Lackie, and Charles “Chuck” Hodges. 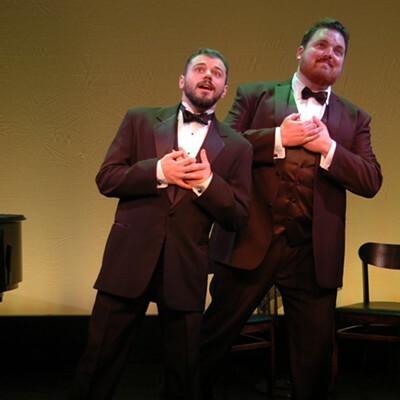 It's a mix of Broadway and opera inspired by the Three Tenors. But, you know, with a baritone. Compiled by music director Jeff Brewer.